At the Carceral Archipelago conference held in September at the University of Leicester, I delivered a paper on British prisoners of war during the Korean, on a panel regarding ‘Political Prisoners’. Chaired by Professor Mary Gibson (CUNY), with Aaron Moore (Leicester) and Natasha Pairaudeau (Cambridge) as discussants, this panel explored the history of mid-twentieth-century labour camps and prison archipelagos. The panellists discussed a wide range of political prisons, from Fascist Confino (Ilaria Poerio) and Soviet Labour Camps in Czechoslovakia (Kelly Hignett) to harsh climes of the Yugoslav ‘Barren Island’ (Milica Prokic). This panel was hugely thought-provoking for my own research on British prisoners of war during the first ‘hot’ war of the Cold War, the Korean War (1950-3). Two issues were particularly prescient for me throughout our discussion: first, what source material should we use to examine captivity and how should we approach it? Second: can a prisoner of war be included as a convict? And do they fit into the history of the ‘carceral archipelago’? First, the material we use to explore captivity. As a historian who uses life-writing sources (loosely defined as a first-person ‘texts’), I was keen to use my paper to explore how life stories are produced within captivity. A crucial difference, I argued, with life writing produced in captivity is that not all of it emerges voluntarily. As Carolyn Steedman has argued, studying the processes of extraction and how people respond to these calls to ‘write their life’ (as one British prisoner of war in Korea was told to) can be just as revealing of inner subjectivity as seemingly voluntary life-narratives. For instance, in her paper Illaria Poerio noted how in Fascist confino the prisoners’ very sense of self became a target. The involuntary production of much of our source material therefore needs to be addressed. Moreover, inner subjectivity matters in captive situations: a sense of self is vital in terms of inner peace of mind, but it is often also an object within captivity. For me, the conference also reiterated the multitude of sites, artefacts and documentation that needs to underpin the study of captivity. This brought home Paul Gready’s statement that ‘to be a prisoner is to be variously written’. During our panel the issue of prison writing was particularly prescient. Prison writing, from Wilde to Gramsci, has long been analysed by historians and literary theorists. But these seminal texts are not the only source which might be useful and historians should consult a range of material – from graffiti to court testimonies. As Helen Rogers has recently noted on the ‘Many Headed Monster’ blog, the exercise of reconstructing ‘the outline of a life from scraps of evidence from different times and places’ yields more than just ‘isolated anecdotes and disembodied voices.’ (Helen Rogers, ‘Captured Voices’). How and what we might classify as life-writing in captive situations and how we might reconstruct the ‘outline’ of that life is thus important. The second issue is one even more directly related to my own research – the figure of the prisoner at war. At the conference, Professor Timothy Coates noted that the military play an important part in the history of the carceral archipelago, not least in supervision of convicts. But can a prisoner of war be considered a convict? Most prisoners of war do not undergo a formal trial and their incarceration has been subject to a very different legal history (in my paper, for instance, I discussed the relevance of the Geneva Convention to the Korean War). This uncertainty in definition is mirrored in the wider position of the prisoner of war in history. From Homer’s Iliad to Abu Ghraib, the imprisonment of one’s enemy has represented a recurring issue for combatant groups and nations. Prisoners of war fall between academic areas of study too: at the Prisoner of War Studies Conference 2013, Professor Bob Moore noted that prisoners of war have been excluded from mainstream historical research because their military status is off-putting to social historians, whilst to military historians theirs is often a disappointing tale of defeat and boredom, rather than victory. In the past ten years, however, historians have reappraised the figure of the POW within histories of global connection, cultural cross-fertilisation and domestic social change. Renaud Morieux’s fascinating research into prisoners during the Napoleonic wars demonstrates the cultural connections forged in captivity, describing captivity zones as ‘social laboratories’, where different classes mingled with one another. But he also notes that such spaces ‘provide a lens through which to glimpse the repercussions of international conflicts at the level of local communities, small towns, and villages.' Prisoner of war studies increasingly stress the importance of understanding captivity as a ‘space apart’ from normal life, but simultaneously one intimately connected with domestic history. Prisoner of war studies can then potentially help the historian reconceptualise the space of captivity. I’m still unsure as to whether the prisoner of war should be included in understandings of the ‘carceral archipelago’, but I would argue that there are undoubtedly profound, beneficial overlaps in approaches to both source material and spaces of captivity. Carolyn Steedman, ‘Enforced Narratives. Stories of Another Self’, in Tess Cosslett, Celia Lury and Penny Summerfield (eds), Feminism and Autobiography. Texts, Theories, Methods, Routledge (London, 2000), pp. 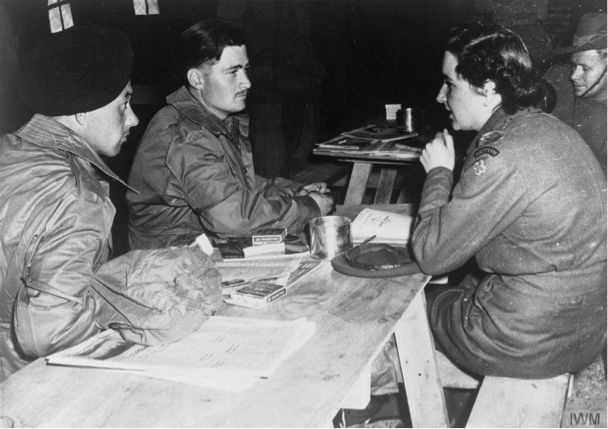 25–39;Grace Huxford, ‘Write Your Life!’: British Prisoners of War in the Korean War (1950–1953) and Enforced Life Narratives’, Life Writing, 12, 1 (2015), pp.3-23. Paul Gready, ‘Autobiography and the “Power of Writing”: Political Prison Writing in the Apartheid Era’, Journal of Southern African Studies, 19, 3 (September 1993), p. 493. Renaud Morieux, ‘French Prisoners of War, Conflicts of Honour and Social Inversions in England, 1744-1783’, Historical Journal, 56, 1 (2013). Grace Huxford is Lecturer in 19th/20th Century British History at the University of Bristol. She completed her PhD in 2014 at the University of Warwick and her thesis examined British experiences of the Korean War (1950-53). She recently published an article for the journal Life Writing on prisoner of war life writing and is working on a monograph on the social significance of the Korean War in Britain. She is co-founder and organiser of the Prisoner of War Studies Network with Elodie Duché (University of York St John).